Before going to Blogger Bash this year, I wasn't too aware of the brand Educational Insights. I'm excited I got to see their brand and what cool toys they have on the market. My kids got to review two adorable and fun toys. 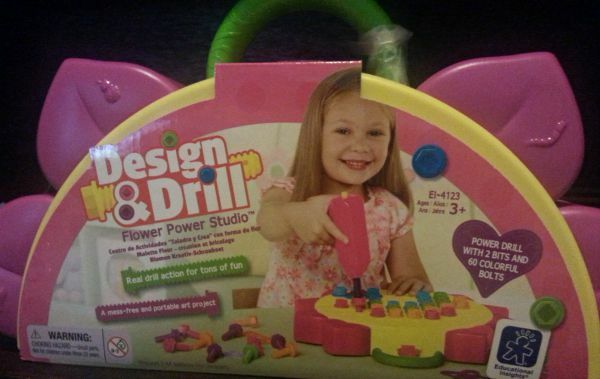 Design & Drill Flower Power Studio is a cute flower shaped toy that teaches hand and eye coordination, patterning, and problem solving. Inside there is a booklet to show you some designs that you can follow. 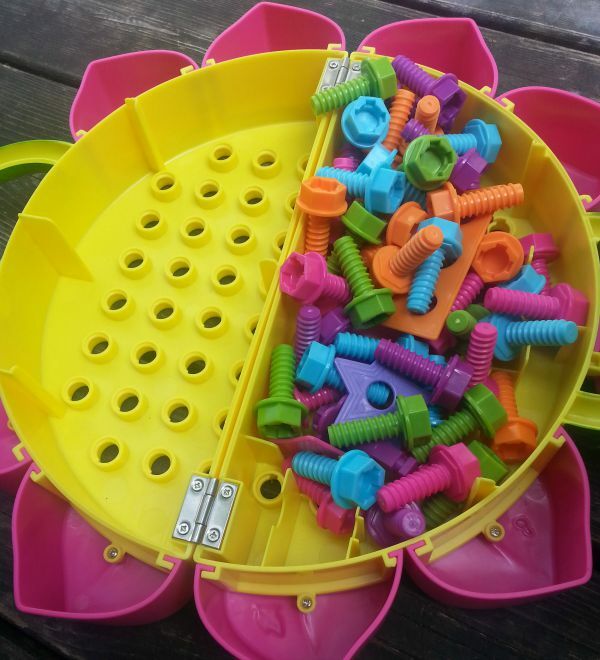 There are 60 bolts in five different colors. It comes with a power drill too. Here is a look at the inside. The bolts are pretty colors. Even if you don't use the drill, you can use your fingers to turn the bolts. This is good for fine motor skills. Also at one point, I told my kids "righty tighty, lefty loosey." My daughter who is 3 got a real kick out of this toy. She carried it outside and back inside. She even made up her own designs. Magic Moves Rainbow Jam is another fun toy. We haven't had that many music toys in the home. There are two modes: instrument mode and song mode. If you are on song mode and press on a color, it will then sing that color's song. Each color has its own song. Instrument mode will let you press on the colors to make your own song or follow a song in the book. 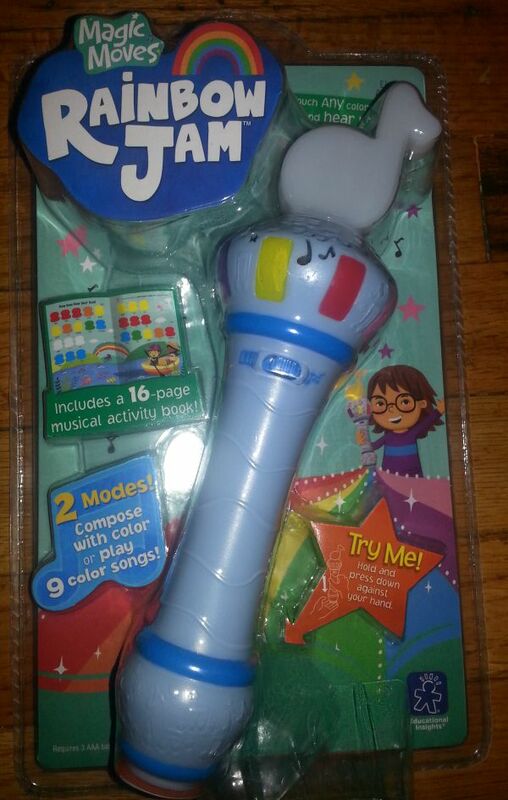 The music activity book has familiar songs such as Twinkle, Twinkle Little Star and the Wheels on the Bus. The preset color songs are in different styles ranging from country to rock. The inventor of Rainbow Jams is Educational Insights Product Manager, James Tu. I think he did a fantastic job. His creation is smart and fun. The holidays are coming soon. You should check out the Educational Insights website for gift ideas.